There are times when you want to download movies from your desktop to you iOS device so that you can watch the movie while on an airplane or other remote location; however, there are times when you are at home and you want to watch a movie from your iPad that is only stored on your computer. You could sync the movie to your device and watch it and then delete when you are done or you can leave it on the desktop and simply stream it to your iPad wirelessly. All you need is a library of movies on a Mac or PC with the Home Sharing feature enabled, a wifi network and an iPad. 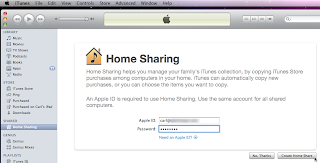 iTunes Home Sharing is a great feature that lets you share your iTunes 10.2.1 library wirelessly with anyone on your local network. This means you can share any Mac or PC’s media library with any iOS 4.3 compatible iPhone, iPod, iPad, or Apple TV, in addition to any other Macs and PC on your network. 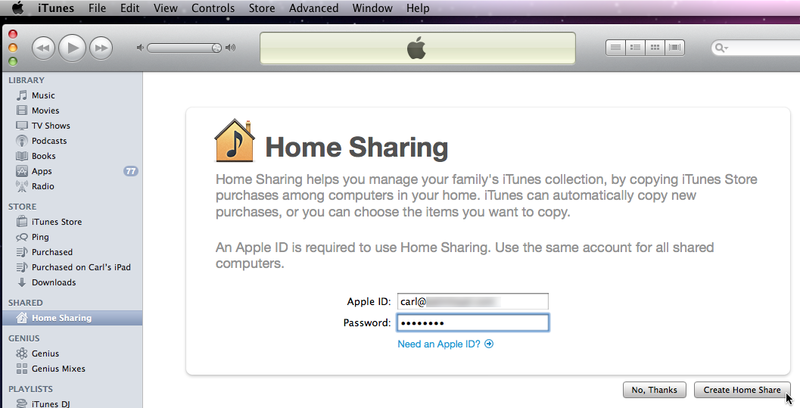 We’ll walk you through setting up iTunes home sharing, and then show you how to access these shared libraries from any compatible iOS hardware, in addition to other Mac’s and PC’s. Launch the Video app on the iPad. Notice that there is a "Shared" tab at the top right of the screen. The single Music video is the only video on the iPad. 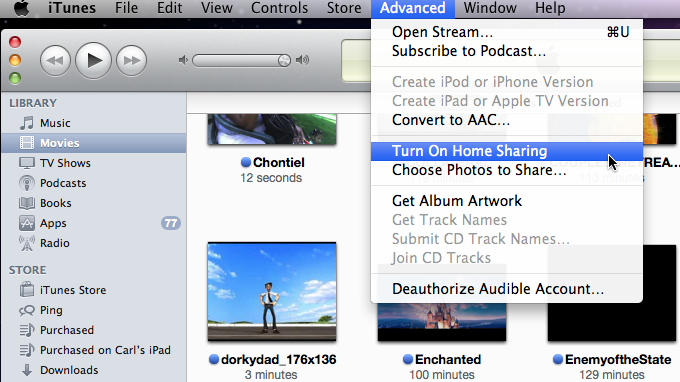 After you click on the "Shared" tab, your iTunes Library link appears. Clicking on the "Movie" tab, will display all of the movies that are physically stored on the remote computer. Clicking on the "TV Shows" tab, will display all of the TV shows that are physically stored on the remote computer. Clicking on the "Music Videos" tab, will display all of the music videos that are physically stored on the remote computer. Below is a video of the Home Sharing in Action. 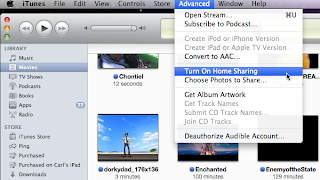 Sharing has been around in iTunes for a while now but iTunes Home Sharing has really refined this feature, especially since you can access the media from now any Mac, PC, iPhone, iPod touch, iPad, or Apple TV. This is a great feature of iOS, have fun with it!